The amazing story of Theranos, a company started in 2003 by a 19-year-old Stanford dropout, is told in page-turning detail in a recent book by Wall Street Journal reporter John Carreyrou. Despite an incredibly distinguished board, leading venture capital investors, raves from a respected Stanford dean and contracts with consumer chains Walgreen and Safeway, the company’s claims were finally revealed in 2015 to have been fraudulent. But what if Theranos had been a hedge fund instead of a healthcare company? The comparison shows why investment “science” is not science. As a Stanford student in 2003, she spent a summer in Singapore testing the blood of patients suspected of carrying the severe acute respiratory syndrome (SARS) virus. It convinced her there must be a better way to test blood. In late 2003, at the age of 19, with the help of Stanford’s School of Engineering Associate Dean Channing Robertson, in whose laboratory she had worked, she incorporated the company that would become Theranos and dropped out of college. Theranos’s goal was to perform a wide range of blood tests with only the blood from a finger-prick, using a miniaturized analytic device. With Robertson’s and Stanford’s network, and Holmes’ charisma and impressive delivery of her idea, she quickly acquired funding and staffed up. She gave successful presentations of the technology to major companies like the Swiss pharmaceutical giant Novartis. But as early as 2006 some of her staff noticed that the technology presented to Novartis was fake. Depicted as a video of a blood sample being processed in real-time by the miniature analyser, the video actually was a recording of a successful test that had been performed earlier. The analyser usually didn’t work. When Theranos’s CFO learned of this he told Holmes, “We’ve been fooling investors. We can’t keep doing that.” As soon as he told her that, he was summarily fired. This scenario was played out again and again. Tests that were supposedly done by the microanalyzer using blood from a finger-prick were actually done by a large conventional Siemens analyzer using a venous draw. Anyone who expressed scepticism or pointed out that the technology wasn’t working was forced out of the company. Turnover was extremely high. Employees had been required to sign very restrictive non-disclosure agreements upon hiring, and were made to turn over all documents and devices upon departure as well as to sign additional restrictive agreements. Management by Holmes and particularly her second-in-command (and secretly, boyfriend) Sunny Balwani was aggressively autocratic. Theranos departments, even those that should have been working together, were kept apart by reporting separately to Holmes so that they would not share information. Departed employees who might go public with information detrimental to the company were threatened with lawsuits by the law firm of David Boies, probably the most prominent attorney in America, on the pretext of protecting trade secrets; just how frightening became crystal clear to Carreyrou and his sources in 2015 as he pieced together his eventual article unmasking Theranos’s fraud. This continued, astonishingly enough, for more than a decade. Meanwhile, glowing articles were written about Holmes and Theranos in numerous magazines and newspapers, including Fortune, Forbes, USA Today, Inc., Fast Company, Glamour and The Wall Street Journal itself. Segments were heard on radio and seen on television stations. Her board of directors included former secretaries of state Henry Kissinger and George Schultz, General James Mattis, and other prominent individuals. When Carreyrou’s article was published in The Wall Street Journal on October 16, 2015, it began the unravelling of the company. Eventually, its largest investor, Rupert Murdoch, who had invested $125 million, sold his shares back to Theranos for one dollar to take the tax loss. Holmes, Balwani, and Theranos were charged with “massive fraud” by the SEC. If it hadn’t been for Carreyrou, the fraud – which caused actual harm to patients – might have continued for years. 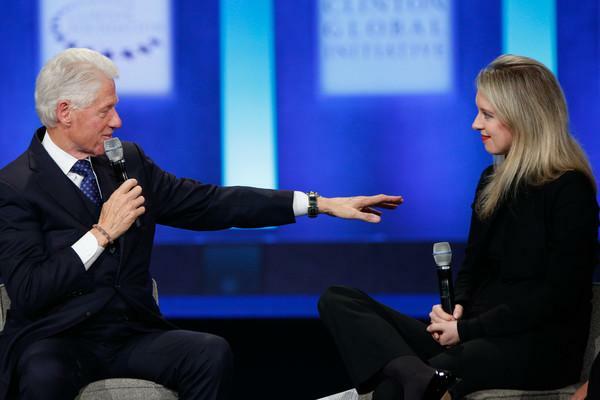 What if Theranos had been a hedge fund? Now let’s go beyond what Carreyrou wrote and change the scenario. Elizabeth Holmes comes up with a brilliant-sounding idea for an investment strategy using complex derivatives. With her charisma, hypnotic presentation skills, networking abilities and radiant intelligence, she quickly raises seed capital for a hedge fund. She hires top investment talent and makes them sign strict non-disclosure agreements, keeping them separated from each other to prevent leaks. Understandably, she goes to great lengths to ensure that anyone who leaves the company does not reveal information about it, including hiring the top law firm in the nation, known for its tactics of intimidation. After a little while it is discovered internally that her original brilliant-sounding investment strategy doesn’t work very well. But it is now only one of many strategies being tested and deployed by her by-now large staff. Results for most of these strategies are ho-hum, but they are written off with unverifiable explanations, such as that they are strategies that protect against down markets while slightly underperforming in up markets. Furthermore, of the many strategies being tested and used, there are one or two that have succeeded, so far, moderately well, though they are run-of-the-mill long-equity investment strategies departing only in small ways from closet-index funds. Arcane quantitative measures and performance goals are adapted and devised to show that the funds are meeting their objectives. The results are presented in complicated PowerPoints to potential and existing investors, and to consulting firms, who nod their heads affirmatively. The PowerPoints continue to highlight the original strategy using complex options, conveying the impression that this is the strategy being used. Holmes co-authors articles with prominent academics, who are on her payroll, using complicated-looking mathematics, reaching bold conclusions that support the strategies her funds use (but to a discerning eye, don’t agree with the mathematics). These articles are published in peer-reviewed financial journals, helped by the fact that her co-authors and reviewers understand how that system works. She speaks regularly at conferences, and is the frequent subject of admiring articles in magazines and newspapers. Unlike Theranos the healthcare company, “Theranos” the hedge fund can never be proved to have misrepresented the effectiveness of its approach. There is no way to prove analytically that an investment strategy cannot work, except for the most patently absurd strategies, such as buying and selling the same stock simultaneously – although many have tried and have laid false claims to do so. Other than the most fundamental conclusions based on the no-free-lunch principle – higher expected return will come only with higher perceived risk – there is little that can be proved using pure reason or mathematics. There is also almost no chance of using evidence to prove statistically that the strategy does or does not work. The statistical record for a proposed strategy will take years to accumulate and by that time the strategy may have changed, the investment environment will have changed, and the likelihood of establishing superiority to the statistics of its background population are extremely low given the chaotically random nature of those data – although again, many have tried and have laid false claim to do so. When sceptical questions were posed outside the firm – as by media correspondents (the ones who weren’t completely starstruck) – Theranos CEO Holmes brushed them aside with easy explanations. (When they were posed from inside the firm, the questioner was immediately fired.) Some of the explanations were outright lies; more often they were vague half-truths that could only be unmasked once it was finally learned how fraudulent all the claims were. But for the alternative Elizabeth Holmes, the imaginary hedge fund CEO, explanations that are vague half-truths are delivered routinely – and readily accepted – because such responses are the industry norm. Performance was poor because the markets were in an inscrutable, unpredictable irrational bubble (or panic); it was poor because the strategy lags in up markets but more than makes up for it in down markets; it was poor because the strategy was out of style. These vague half-truths will never be unmasked as fraud, like those of Theranos’s Holmes were, because it is impossible to verify whether they were true or false. This applies not only to many hedge funds but to other investment managers, mostly those saying they use “quantitative” strategies and claiming to be doing science. Popper argued that if a theory is inconsistent with possible empirical observations it is scientific, whereas if it is consistent with all possible observations it is unscientific. That is, if there is some possibility of making an observation that will prove the theory or claim false – i.e. if it is falsifiable – then it can be regarded as a scientific theory or claim. But if there is no possibility of observing something that cannot be explained away by modifications of, or additions to the theory or claim, then it is unscientific. Theranos’s claims were scientific. It was doing science, after all. It claimed to have a miniature device that could do more than a hundred blood tests with the blood from a single finger-prick. When all the facts were finally put together, this claim was shown to be a falsehood. That is the nice thing about scientific claims – you can actually prove whether they are false. The claims of the hedge fund “Theranos” are not scientific. Whatever is observed, it can be explained away by some prevailing circumstance, or some vague modification of the claim. Its claims are not falsifiable. It is not doing science – no matter how much mathematics it applies, or how much mathematics it purports to use to substantiate its claims. If all that she wanted was to be a billionaire, Holmes should have started a hedge fund. But wait, maybe she still can. Watch for it. And she can still call it “science,” because the academic-industrial investment complex doesn’t understand what science is. Economist and mathematician Michael Edesess is adjunct associate professor and visiting faculty at the Hong Kong University of Science and Technology, chief investment strategist of Compendium Finance, adviser to mobile financial planning software company Plynty, and a research associate of the Edhec-Risk Institute. In 2007, he authored a book about the investment services industry titled The Big Investment Lie, published by Berrett-Koehler. His new book, The Three Simple Rules of Investing, co-authored with Kwok L. Tsui, Carol Fabbri and George Peacock, was published by Berrett-Koehler in June 2014.